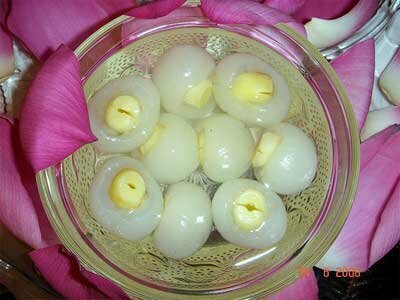 With longan and lotus seeds, the Vietnamese can create a kind of special-flavor tea. It is considered the quintessence of the heaven and earth. Boil and simmer ingredients in 5 cups of water for 45 minutes until the liquid is fragrant and tasty.